Patty brings over 19 years of accounting experience encompassing both functional and management positions in finance, project control, human resources, and benefit administration. Her experience includes project performance measurement and analysis; implementation of manpower forecasting tools; establishment of reporting metrics; development of detailed forecasts for manpower, revenue and profit including risk assessment and contingencies. 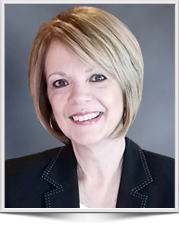 She is accustomed to working with federal, state and local agencies on a variety of different issues surrounding business and tax compliance.